Working in collaboration with WTM London, Traverse is introducing Borderless Live. 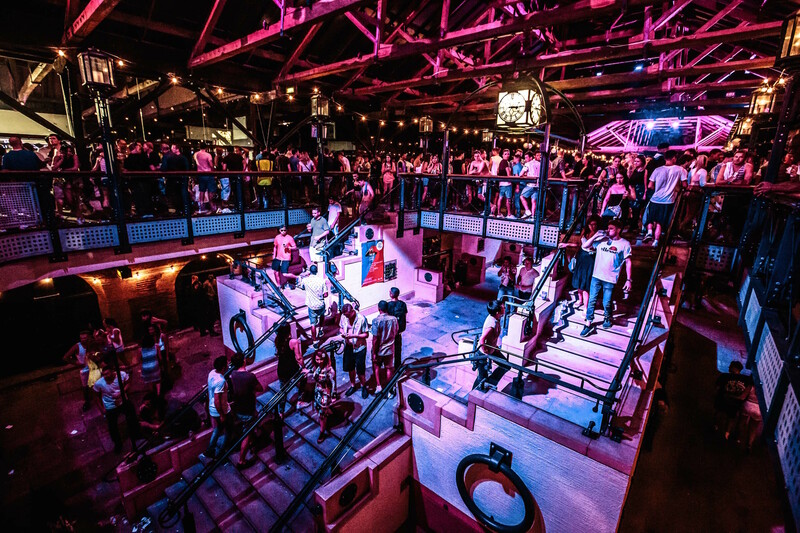 An event for digital content creators on a large scale and held at an epic venue, Tobacco Docks in London (6th – 7th September 2019). It’s an urban festival designed for content creators, online influencers, bloggers, YouTubers, Instagrammers, journalists and social media experts who are at the forefront of industry trends, and those just beginning their online journey. Along with an incredible seminar and Conference Program there will be some exciting global brands and travel destinations exhibiting and looking to make connections. It’s not all work and networking though, no festival would be complete without awesome food, bars, parties, inspirational talks & live music! For brands and destinations, it’s a huge opportunity to immerse themselves in the whole industry of influencers and content creators, building relationships and getting to know the talent that’s out there. There will, of course, also be sessions, talks and seminars outlining how other brands have succeeded with their own strategies and collaborations. It’s the perfect place to introduce your destination or brand in a relaxed environment. That’s not even mentioning the chance to network one-on-one with some of the world best creators! For a brand exhibiting, it’s a chance to get their product, service, app or destination in front of the very people that will be creating digital content. There’s the ability to show first hand what your brand or destination has to offer, products can be demonstrated to creators and itineraries, attractions and tips can be offered by destinations. As a creator, I loved the idea of being able to meet the brands. To get my hands on the products or services that I’m looking to purchase. Maybe it’s the latest camera gimbal, pop socket invention (yes, these are great), drones, action camera, affiliate tours, photo editing software, music for video production… you name it. It’d be great to have them all in one place looking to engage and connect with digital content creators. I’m also looking forward to hearing talks and sessions from high-level skilled content creators and brands from different niches. Learning from success stories and case studies that are pushing digital content creation. With all the buzz of the festival, it’ll be good to sneak away for a while and engage in some one-on-one meetings with key brands and destinations that are at the festival because they see the value in digital content and working with creators. It’s at these sessions that meetings often spark, develop and progress into long-term valuable relationships. Something brands who are serious about working with creators can’t afford to miss out on. With all these key aspects built into BorderlessLive, along with the laid-back vibe, food, music and parties, it’s going to be one valuable, productive and fun event that I don’t think any serious brands, PRs or destinations can’t afford to miss. Add the dates to your diary, September 6th and 7th 2019, to make sure you don’t miss it Borderless Live.